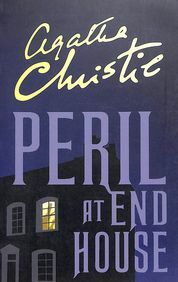 Agatha Christies ingenious murder mystery, reissued with a striking new cover designed to appeal to the latest generation of Agatha Christie fans and book lovers. Nick Buckley was an unusual name for a pretty young woman. But then she had led an unusual life. First, on a treacherous Cornish hillside, the brakes on her car failed. Then, on a coastal path, a falling boulder missed her by inches. Later, an oil painting fell and almost crushed her in bed. Upon discovering a bullet-hole in Nicks sun hat, Hercule Poirot decides the girl needs his protection. At the same time, he begins to unravel the mystery of a murder that hasnt been committed. Yet.